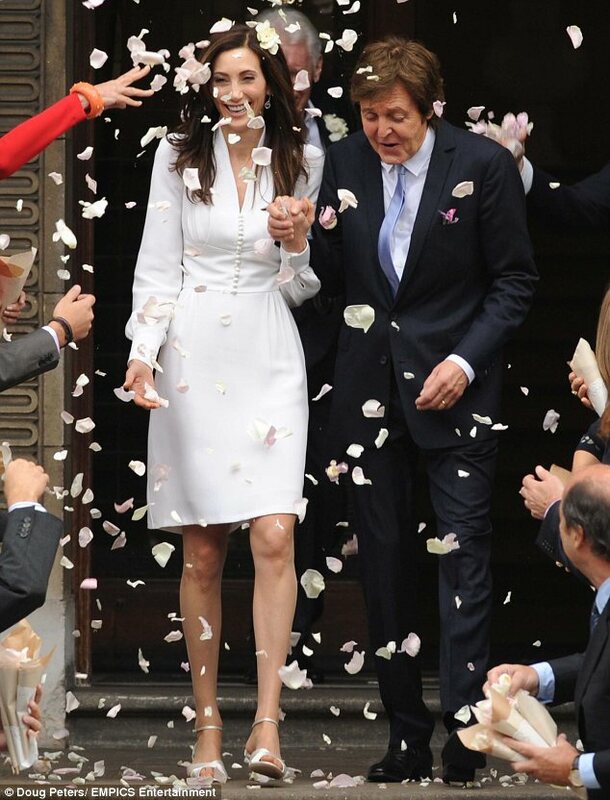 There is something lovely about the family all mucking in at a wedding - and Sir and Lady McCartney's nuptials yesterday certainly had that air of team work. Paul's daughter Beatrice was the only flower girl - his daughter Mary took the official press photograph (above), and Stella designed the gorgeous and apt wedding dress for her new mother-in-law Stella. 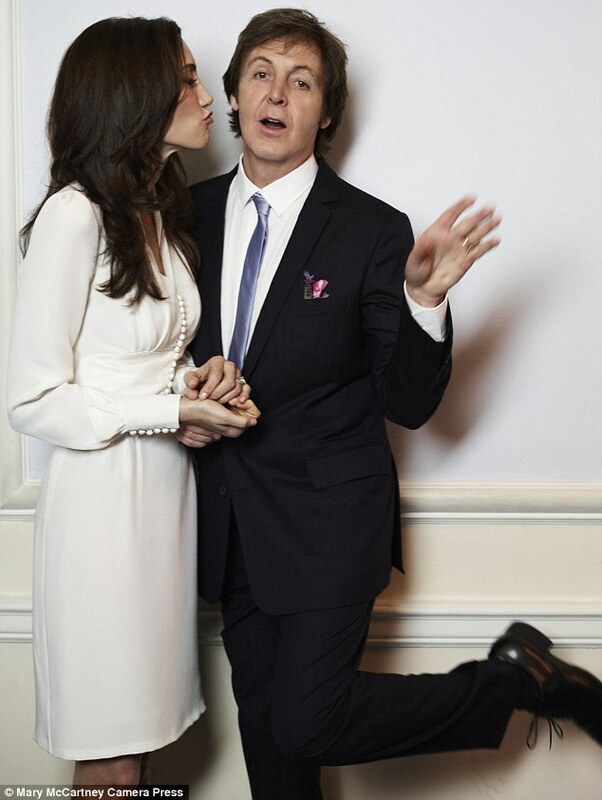 The McCartneys seem far more 'together' for this marriage - we didn't see this amount of collaboration when he married Heather in 2002. I can't believe she is in her 50's either. And she has her own money- which gives them a level playing field as a couple. I hope this one works!